Mauro Tortonesi received his Laurea degree in Electronics Engineering from the University of Ferrara on October 25th, 2002. He achieved a score of 110/110, graduated with honors, and received a commendation letter from the evaluating Commissione di Laurea. On January 1st, 2003 he started the Ph.D. programme in Computer Science Engineering at the Engineering Department of the University of Ferrara,joining the Distributed System Research Group led by Prof. Cesare Stefanelli. From September 2004 to August 2005 he joined the NOMADS research group at the Florida Institute for Human & Machine Cognition (FIHMC) in Pensacola, FL (USA), for a research exchange programme under the supervision of Dr. Niranjan Suri. From January 1st, 2006 to August 31st, 2010 he worked as a research associate at the Engineering Department of the University of Ferrara. He successfully defended his Ph.D. thesis “Multimedia Service Provisioning on Wireless Networks” (supervisor Prof. Cesare Stefanelli) on March 23rd, 2006. From September 1st, 2010 he holds an Assistant Professor position (RTD) at the Engineering Department of the University of Ferrara. On January 2015, Mauro Tortonesi received the “Abilitazione Scientifica Nazionale - II fascia”, the Italian scientific qualification required to hold an Associate Professor position, in Computer Science Engineering (9/H1). Mauro Tortonesi’s scientific work could be broadly classified along the following 4 main research activities. A first activity involves the study of solutions for the modeling and optimization of support organizations for the resolution of incidents in the IT industry, and the construction of models and software tools to support business-driven strategic decision making relating to the incident management process in the IT industry. This is an extremely difficult task, which requires to consider a large set of possible operations on IT support organizations (support group re-staffing, merging, splitting, etc. ), and the implementation of different policies for the allocation and prioritization of incidents, and suggests the adoption of what-if scenario analysis techniques and tools, which enable the behavioral analysis of highly complex real-world systems in alternative working conditions. This activity, carried out in collaboration with the HP Labs research laboratories in Palo Alto, CA (USA), the research division of Hewlett Packard, resulted in numerous scientific publications and in the realization of the state-of-the-art SYMIAN decision support tool, which was thoroughly validated through comparisons with the data from real-life enterprise class IT support organizations, and was recently released as Open Source. A second research activity concerns Internet-of-Things (IoT) management in industrial environments. More specifically, Dr. Tortonesi’s work focused on the study and implementation of Web-based and highly scalable e-Maintenance solutions for the remote monitoring, diagnostics, configuration, reporting, and updating of automated machines, and on the study and implementation of innovative control platforms for automated machines based on single board computer with ARM processors and component-off- the-shelf Open Source software, such as the Linux operating system, the Qt embedded GUI libraries, and the Ruby on Rails framework for Web 2.0 applications. This activity is carried out in collaboration with the R&D divisions of many world leading (mechanical) industries, such as Carpigiani Group of Anzola dell’Emilia (BO), IMA SpA of Ozzano Emilia (BO), VM Motori (FIAT-Chrysler Group) of Cento (FE), Elenos of Poggio Renatico (FE), SACMI of Imola (BO). Within this research activity, Dr. Tortonesi contributed to design and realize several prototypes of software solutions for the remote monitoring and control of machines through Web-based technologies, for the the local (HMI) control of machines through an embedded Qt interface, and for the remote control of automated machines via iPad devices. All the prototypes are currently going through the commercialization phase, and provided or are expected to provide very significant economic benefits for the companies. The activity also led to several scientific publications and to the filing of two patent applications. Another research activity concerns the study of business-driven methodologies for the placement optimization of software components of complex IT services in federated Cloud environments. This activity aims at developing a general model to represent the behaviour of complex IT services with multiple workflows, a simulation based tool to reenact the behavior of complex IT services in federated Cloud environments, and optimization solutions leveraging computational intelligence methods such as genetic algorithms and particle swarm optimization. This activity is carried out in collaboration with the Department of Computer Science - Science and Engineering (DISI) of the University of Bologna, St. John's University in New York, NY, (USA), and the IBM TJ Watson research institute, New York, NY, (USA). The activity, started only very recently, resulted in several publications and in the realization of the SISFC simulator to reenact the behavior of IT service components in federated Cloud environments and of the ruby-mhl library of metaheuristics, which were released as Open Source. A fourth research activity involves the study and development of methodologies and tools to support communications in extremely dynamic wireless environments such as mobile ad-hoc, delay-tolerant, opportunistic, and tactical edge networks. The main objective of this activity is the implementation of a comprehensive middleware solution enabling application-level service discovery, network condition monitoring, service session mobility, QoS management, opportunistic resource exploitation, adaptation of component-off-the-shelf applications, and finally smart and adaptive information dissemination. This activity is carried out in collaboration with the Florida Institute for Human & Machine Cognition in Pensacola, FL (USA), with the United States Army Research Lab (ARL), with the United States Air Force Research Lab (AFRL), with the United States Naval Research Laboratory (NRL), and the United States Office of Naval Research (ONR), and led to interesting results published in many international scientific journals and conferences. Finally, other minor activities concern the realization of a platform for the QoS-enabled provisioning of multimedia services over Bluetooth, the development of mechanisms to prevent the tracking of users and mobile devices with Wireless Internet, and the study of the problem of porting applications and services legacy IPv4-only to IPv6. The 7th IEEE/IFIP International Workshop on Business-driven IT Management (BDIM 2012). The 20th IFIP/IEEE International Workshop on Distributed Systems: Operations and Management (DSOM 2009). Computers & Electrical Engineering (Elsevier). The 11th World Multi-Conference on Systemics, Cybernetics and Informatics (WMSCI 2007). Dr. Tortonesi teaches the Computer Networks course at the Faculty of Engineering of the University of Ferrara. His teaching activity also includes many lessons and seminars for the Operating Systems, Distributed Systems, and Concurrent Programming courses. [J.1] P. Bellavista, C. Stefanelli, M. Tortonesi, "QoS Management Middleware Solutions for Bluetooth Audio Distribution", Journal of Pervasive and Mobile Computing, ISSN 1574-1192, Vol. 4, No. 1, pp. 117-138, February 2008. [J.2] N. Suri, E. Benvegnù, M. Tortonesi, C.Stefanelli, J. Kovach, J. Hanna, "Communications Middleware for Tactical Environments: Observations, Experiences, and Lessons Learned", IEEE Communications Magazine, ISSN 0163-6804, Vol. 47, No. 10 (Special Issue on Military Communications), pp. 56-63, October 2009. [J.3] C. Bartolini, C.Stefanelli, M. Tortonesi, "SYMIAN: Analysis and Performance Improvement of the IT Incident Management Process", IEEE Transactions on Network and Service Management, ISSN 1932-4537, Vol. 7, No. 3, pp. 132-144, September 2010. [J.4] N. Suri, G. Benincasa, M. Tortonesi, C.Stefanelli, J. Kovach, R. Winkler, R. Kohler, J. Hanna, L. Pochet, S. Watson, "Peer-to-Peer Communications for Tactical Environments: Observations, Requirements, and Experiences", IEEE Communications Magazine, ISSN 0163-6804, Vol. 48, No. 10 (Special Issue on Military Communications), pp. 60-69, October 2010. [J.5] M. Tortonesi, C. Stefanelli, E. Benvegnù, K. Ford, N. Suri, M. Linderman, "Multiple-UAV Coordination and Communications in Tactical Edge Networks", IEEE Communications Magazine, ISSN 0163-6804, Vol. 50, No. 10 (Special Issue on Military Communications), pp. 48-55, October 2012. [J.6] M. Brenner, T. Schaaf, M. Tortonesi, "Business-Driven IT Management Coming of Age - A Report on the 7th IEEE/IFIP International Workshop on Business-Driven IT Management (BDIM 2012)", Journal of Network and Systems Management, Springer, ISSN 1064-7570, Vol. 21, No. 2, pp. 326-333, June 2013. [J.7] R. Lazzarini, C. Stefanelli, M. Tortonesi, G. Virgilli, "E-Maintenance for Household and Similar Appliances", International Journal of Productivity and Quality Management, Inderscience, ISSN 1746-6474, Vol. 12, No. 2, pp. 141-160, 2013. [J.8] M. Tortonesi, A. Morelli, C. Stefanelli, R. Kohler, N. Suri, S. Watson, "Enabling the Deployment of COTS Applications in Tactical Edge Networks", IEEE Communications Magazine, ISSN 0163-6804, Vol. 51, No. 10 (Special Issue on Military Communications), pp. 66-73, October 2013. [J.9] G. Benincasa, A. Morelli, C. Stefanelli, N. Suri, M. Tortonesi, "Agile Communication Middleware for Next-generation Mobile Heterogeneous Networks", IEEE Software, ISSN 0740-7459, Vol. 31, No. 2 (Special Issue on Next Generation Mobile Computing), pp. 54-61, March-April 2014. [J.10] N. Suri, G. Benincasa, R. Lenzi, M. Tortonesi, C. Stefanelli, L. Sadler, “Exploring Value of Information-based Approaches to Support Effective Communications in Tactical Networks”, IEEE Communications Magazine, Vol. 53, No. 10 (Special Feature on Military Communications), pp. 39-45, October 2015. [J.11] M. Tortonesi, L. Foschini, “Business-driven Service Placement for Highly Dynamic and Distributed Cloud Systems”, to appear in IEEE Transactions on Cloud Computing, 2016. [J.15] W. Cerroni, L. Foschini, G. Grabarnik, L. Shwartz, M. Tortonesi, "Estimating Delay Times between Cloud Datacenters: A Pragmatic Modelling Approach", accepted for publication in IEEE Communication Letters. [B.1] N. Suri, M. Carvalho, D. Ansaloni, M. Arguedas, G. Benincasa, E. Benvegnù, J. Bradshaw, M. Breedy, S. Choy, J. Kovach, M. Marcon, R. Quitadamo, M. Rebeschini, L. Tokarcik, M. Tortonesi, R. Winkler, "Agile Computing and its Applications to Tactical Military Environments", Chapter 3, pp. 55-72, from P. McDermott, L. Allander (Eds. ), "Advanced Decision Architectures for the Warfighter: Foundations and Technology", August 2009. [B.2] R. Lazzarini, C. Stefanelli, M. Tortonesi, "Leveraging ICT to Enable e-Maintenance for Automated Machines", in G. Cabri, N. Suri (Eds. ), "Adaptive, Dynamic, and Resilient Systems", Taylor and Francis, 2014. [C.1] P. Bellavista, C. Stefanelli, M. Tortonesi, "The ubiQoS Middleware for Audio Streaming to Bluetooth Devices", in Proceedings of 1st Annual International Conference on Mobile and Ubiquitous Systems: Networking and Services (Mobiquitous'04), pp. 138-145, Boston, MA, USA, 22-26 August 2004. [C.2] P. Bellavista, C. Stefanelli, M. Tortonesi, "Middleware-level QoS Differentiation in the Wireless Internet: the ubiQoS Solution for Audio Streaming", in Proceedings of 1st International Conference on Quality of Service in Heterogeneous Wired/Wireless Networks (QShine'04), pp. 172-180, Dallas, TX, USA, 18-20 October 2004. [C.3] N. Suri, M. Tortonesi, M. Arguedas, M. Breedy, M. Carvalho, R. Winkler, "Mockets: A Comprehensive Application-Level Communications Library", in Proceedings of IEEE MILCOM 2005 Military Communications Conference, pp. 970-976, Atlantic City, NJ, USA, 17-20 October 2005. [C.4] M. Tortonesi, C. Stefanelli, N. Suri, M. Arguedas, M. Breedy, "Mockets: A Novel Message-Oriented Communications Middleware for the Wireless Internet”, in Proceedings of International Conference on Wireless Information Networks and Systems (WINSYS 2006), pp. 258-267, ISBN 972-8865-65-1, INSTICC Press, Setúbal, Portugal, 7-10 August 2006. [C.5] N. Suri, M. Carvalho, J. Lott, M. Tortonesi, J. Bradshaw, M. Arguedas, M. Breedy, "Policy-based Bandwidth Management for Tactical Networks with the Agile Computing Middleware”, in Proceedings of IEEE MILCOM 2006 Military Communications Conference, Washington, DC, USA, 23-25 October 2006. [C.6] C. Stefanelli, M. Tortonesi, M. Carvalho, N. Suri, "Network Conditions Monitoring in the Mockets Communications Framework", in Proceedings of IEEE MILCOM 2007 Military Communications Conference, Orlando, FL, USA, 29-31 October 2007. [C.7] N. Suri, M. Marcon, R. Quitadamo, M. Rebeschini, M. Arguedas, S. Stabellini, M. Tortonesi, C. Stefanelli, "An Adaptive and Efficient Peer-to-Peer Service-oriented Architecture for MANET Environments with Agile Computing", in Proceedings of 2nd IEEE Workshop on Autonomic Communications and Network Management (ACNM’08), pp. 364-371, 7-11 April 2008, Salvador de Bahia, Brazil. [C.8] M. Tortonesi, C. Stefanelli, C. Bartolini, G. Barash, L. Fradin, "Optimizing the IT incident management process: a simulation-based tool", in Proceedings of 2008 Workshop of HP Software University Association (HP-SUA 2008), 22-25 May 2008, Marrakech, Morocco. [C.9] M. Tortonesi, E. Benvegnù, C. Stefanelli, N. Suri, "Session Mobility in the Mockets Communication Middleware", in Proceedings of 13th IEEE Symposium on Computers and Communications (ISCC’08), pp. 596-603, 6-9 July 2008, Marrakech, Morocco. [C.10] C. Bartolini, C. Stefanelli, M. Tortonesi, "SYMIAN: a Simulation Tool for the Optimization of the IT Incident Management Process", in Proceedings of 19th IFIP/IEEE International Workshop on Distributed Systems: Operations and Management (DSOM 2008), pp. 83-94, 25-26 September 2008, Pythagorion, Samos Island, Greece. [C.11] R. Lazzarini, C. Stefanelli, M. Tortonesi, G. Virgilli, "Teorema: a Comprehensive Solution for the Remote Assistance of Ice Cream Making Machines”, Proceedings of 10th Annual International Conference on The Modern Information Technology in the Innovation Processes of the Industrial Enterprises (MITIP 2008), pp. 370-375, ISBN: 978-80-7043-738-4, 14-17 November 2008, Prague, Czech Republic. [C.12] C. Bartolini, C. Stefanelli, M. Tortonesi, "Business-impact analysis and simulation of critical incidents in IT service management", in Proceedings of the 11th IFIP/IEEE International Symposium on Integrated Network Management (IM 2009) - Main track, pp. 9-16, 1-5 June 2009, New York, NY, USA. [C.13] M. Canato, R. Lazzarini, C. Stefanelli, M. Tortonesi, S. Veronese, G. Virgilli, "Teorema: An Integrated Solution for Effective After-sales Assistance in the Ice Cream Making Machines Market", in Proceedings of 11th Annual International Conference on The Modern Information Technology in the Innovation Processes of the Industrial Enterprises (MITIP 2009), pp. 351-358, ISBN: 978-88-89555-09-05, 15-16 October 2009, Bergamo, Italy. [C.14] C. Bartolini, C. Stefanelli, M. Tortonesi, "Modeling IT Support Organizations from Transactional Logs", in Proceedings of the 12th IEEE/IFIP Network Operations and Management Symposium (NOMS 2010) - Main track, pp. 256-263, 19-23 April 2010, Osaka, Japan. [C.15] A. Mazzini, C. Stefanelli, M. Tortonesi, G. Benincasa, N. Suri, "DisService: Network State Monitoring and Prediction for Opportunistic Information Dissemination in Tactical Networks", in Proceedings of IEEE MILCOM 2010 Military Communications Conference, 31 October - 3 November 2010, San Jose, CA, USA. [C.16] S. Rota, G. Benincasa, M. Interlandi, N. Suri, B. Bonnlander, M. Tortonesi, J. Bradshaw, "Supporting Information on Demand with the DisServicePro Proactive Peer-to-peer Information Dissemination System", in Proceedings of IEEE MILCOM 2010 Military Communications Conference, 31 October - 3 November 2010, San Jose, CA, USA. [C.17] E. Benvegnù, N. Suri, M. Tortonesi, T. Esterrich, "Seamless Network Migration Using the Mockets Communications Middleware", in Proceedings of IEEE MILCOM 2010 Military Communications Conference, 31 October - 3 November 2010, San Jose, CA, USA. [C.18] C. Bartolini, C. Stefanelli, M. Tortonesi, "On Decision Making in Business-Driven IT Management", in Proceedings of the 6th IFIP/IEEE International Workshop on Business-driven IT Management (BDIM 2011), 27 May 2011, Dublin, Ireland. [C.19] N. Suri, G. Benincasa, M. Tortonesi, E. Casini, A. Rossi, "Peer-to-peer Cooperative Networking for Cellular Mobile Devices", in Proceedings of the 4th International ICST Conference on MOBILe Wireless MiddleWARE (Mobilware 2011), 22-24 June 2011, London, UK. [C.20] R. Lazzarini, C. Stefanelli, M. Tortonesi, G. Virgilli, "Teorema: an E-maintenance Platform for Ice Cream Machines" (short paper), in Proceedings of 16th IEEE International Conference on Emerging Technologies and Factory Automation (ETFA 2011) - Works in progress / Industrial practices track, 5-9 September 2011, Toulouse, France. [C.21] C. Bartolini, C. Stefanelli, M. Tortonesi, D. Targa, "A Web-based What-If Scenario Analysis Tool for Performance Improvement of IT Support Organizations" (short paper), in Proceedings of 7th International Conference on Network and Service Management (CNSM 2011), 24-28 October 2011, Paris, France. [C.22] G. Benincasa, A. Rossi, N. Suri, M. Tortonesi, C. Stefanelli, "An Experimental Evaluation of Peer-to-peer Reliable Multicast Protocols", in Proceedings of IEEE MILCOM 2011 Military Communications Conference, 7-10 November 2011, Baltimore, MD, USA. [C.23] C. Bartolini, C. Stefanelli, M. Tortonesi, "Modeling IT Support Organizations Using Multiple-Priority Queues", in Proceedings of the 13th IEEE/IFIP Network Operations and Management Symposium (NOMS 2012) - Main track, 16-20 April 2012, Maui, Hawaii, USA. [C.24] C. Bartolini, C. Stefanelli, M. Tortonesi, D. Targa, "A Cloud-based Solution for the Performance Improvement of IT Support Organizations", in Proceedings of the 13th IEEE/IFIP Network Operations and Management Symposium (NOMS 2012) - Mini-conference track, 16-20 April 2012, Maui, Hawaii, USA. [C.25] C. Bartolini, C. Stefanelli, M. Tortonesi, "Potential Benefits and Challenges of Closed-Loop Optimization Processes for IT Support Organizations", in Proceedings of the 7th IFIP/IEEE International Workshop on Business-driven IT Management (BDIM 2012), 20 April 2012, Maui, Hawaii, USA. [C.26] M. Marchini, M. Tortonesi, G. Benincasa, N. Suri, C. Stefanelli, "Predicting Peer Interactions for Opportunistic Information Dissemination Protocols", in Proceedings of the 17th IEEE Symposium on Computers and Communication (ISCC 2012), 1-4 July 2012, Cappadocia, Turkey. [C.27] A. Morelli, R. Kohler, C. Stefanelli, N. Suri, M. Tortonesi, "Supporting COTS Applications in Tactical Edge Networks", in Proceedings of IEEE MILCOM 2012 Military Communications Conference, 29 October - 1 November 2012, Orlando, FL, USA. [C.28] C. Bartolini, C. Stefanelli, M. Tortonesi, "Synthetic Incident Generation in the Reenactment of IT Support Organization Behavior", in Proceedings of the 13th IFIP/IEEE Integrated Network Management Symposium (IM 2013) - Technical (main) track, 27-31 May 2013, Ghent, Belgium. [C.29] R. Lazzarini, C. Stefanelli, M. Tortonesi, "Large-Scale E-maintenance: A New Frontier of Management? ", in Proceedings of the 13th IFIP/IEEE Integrated Network Management Symposium (IM 2013) - Short papers track, 27-31 May 2013, Ghent, Belgium. [C.30] L. Foschini, M. Tortonesi, "Adaptive and Business-driven Service Placement in Federated Cloud Computing Environments", in Proceedings of the 8th IFIP/IEEE International Workshop on Business-driven IT Management (BDIM 2013), 27 May 2013, Ghent, Belgium. [C.31] A. Morelli, C. Stefanelli, N. Suri, M. Tortonesi, “Mobility Pattern Prediction to Support Opportunistic Networking in Smart Cities”, in Proceedings of the 6th International ICST Conference on MOBILe Wireless MiddleWARE (Mobilware 2013), 11-12 November 2013, Bologna, Italy. [C.32] G. Grabarnik, L. Shwartz, M. Tortonesi, "Business-Driven Optimization of Component Placement for Complex Services in Federated Clouds", in Proceedings of the 14th IEEE/IFIP Network Operations and Management Symposium (NOMS 2014) - Mini-conference track, 5-9 May 2014, Krakow, Poland. 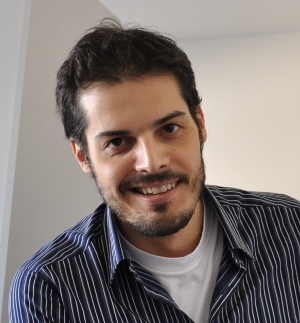 [C.33] M.Tortonesi, "Exploring Continuous Optimization Solutions for Business-driven IT Managment Problems", to appear in Proceedings of the 14th IFIP/IEEE Integrated Network Management Symposium (IM 2015) - Short papers track, 11-15 May 2015, Ottawa, Canada. [C.34] G. Grabarnik, M. Tortonesi, L. Shwartz, "Business-driven Configuration of IT Services in Public and Hybrid Clouds based on Performance Forecasting", in Proceedings of the 14th IFIP/IEEE Integrated Network Management Symposium (IM 2015) - Short papers track, 11-15 May 2015, Ottawa, Canada. [C.35] A. Morelli, C. Stefanelli, M. Tortonesi, R. Lenzi, N. Suri, “A Proxy Gateway Solution to Provide QoS in Tactical Networks and Disaster Recovery Scenarios”, in Proceedings of the 10th ACM Symposium on QoS and Security for Wireless and Mobile Networks (Q2SWinet 2015), 2-6 November 2015, Cancun, Mexico. [C.36] M. Tortonesi, J. Michaelis, N. Suri, M. A. Baker, “Software-defined and Value-based Information Processing and Dissemination in IoT Applications”, in Proceedings of the 14th IEEE/IFIP Network Operations and Management Symposium (NOMS 2016) - Short papers track, 25-29 April 2016, Istanbul, Turkey. [C.37] N. Suri, M. Tortonesi, J. Michaelis, P. Budulas, G. Benincasa, S. Russell, C. Stefanelli, R. Winkler, "Analyzing the Applicability of Internet of Things to the Battlefield Environment", in Proceedings of the 2016 International Conference on Military Communications and Information Systems (ICMCIS 2016), Brussels, Belgium, 23-24 May 2016. [C.38] M. Tortonesi, J. Michaelis, A. Morelli, N. Suri, M. Baker "SPF: An SDN-based Middleware Solution to Mitigate the IoT Information Explosion", in Proceedings of 21st IEEE Symposium on Computers and Communications (ISCC 2016), Messina, Italy, 27-30 June 2016. [C.39] J. Michaelis, M. Tortonesi, M. Baker, N. Suri, "Applying Semantics-Aware Services for Military IoT Infrastructures", in Proceedings of 21st International Command and Control Research and Technology Symposium (ICCRTS 2016), London, UK, 6-8 September 2016. [C.40] R. Fronteddu, A. Morelli, M. Tortonesi, N. Suri, C. Stefanelli, R. Lenzi, E. Casini, "DDAM: Dynamic Network Condition Detection and Communication Adaptation in Tactical Edge Networks", in Proceedings of 2016 IEEE Military Communications Conference - MILCOM 2016, Baltimore, MD, USA, pp. 970-975, 1-3 November 2016. [C.41] M. Govoni, J. Michaelis, A. Morelli, N. Suri, M. Tortonesi, "Enabling Social- and Location-Aware IoT Applications in Smart Cities", in Proceedings of 2nd EAI International Conference on Smart Objects and Technologies for Social Good (GoodTechs 2016), Venezia, Italy, November 30–December 1, 2016. [C.42] G. Grabarnik, M. Tortonesi, L. Shwartz, "Data-driven cloud-based IT services performance forecasting", in Proceedings of 2016 IEEE International Conference on Big Data (Big Data 2016), Washington D.C., USA, 5-8 December 2016. [C.43] M. Tortonesi, A. Morelli, M. Govoni, J. Michaelis, N. Suri, C. Stefanelli, S. Russell, "Leveraging Internet of Things within the military network environment — Challenges and solutions", in Proceedings of 2016 IEEE 3rd World Forum on Internet of Things (WF-IoT 2016), Reston, VA, USA, 12-14 December 2016. [C.44] N. Suri, Z. Zielinski, M. Tortonesi, C. Fuchs, M. Pradhan, K. Wrona, J. Furtak, B. Vasilache, M. D. Street, V. Pellegrini, G. Benincasa, A. Morelli, C. Stefanelli, E. Casini, M. Dyk, "Exploring Smart City IoT for Disaster Recovery Operations", in Proceedings of 2018 IEEE 4th World Forum on Internet of Things (WF-IoT 2018), Singapore, 8-5 February 2018. [C.45] G. Riberto, M. Govoni, C. Stefanelli, N. Suri, M. Tortonesi, "Leveraging Civilian IoT Infrastructures to Support Warfighting Activities in Urban Environments", in Proceedings of 2018 IEEE 4th World Forum on Internet of Things (WF-IoT 2018) - Special session on Military Applications of IoT, Singapore, 8-5 February 2018. [ITCW.1] R. Lazzarini, C. Stefanelli, M. Tortonesi, G. Virgilli, "E-Maintenance of Carpigiani Ice Cream Making Machines", in Proceedings of Congresso Nazionale AICA 2011, 15-17 November 2011, Turin, Italy.